Clients with import and/or export shipments moving through Brazil should expect delays and additional costs due to a labor strike by Brazilian customs workers. The strike is currently having the largest impact on clearance times for shipments. Cargo is remaining at terminals for an increased period of time resulting in extra storage charges and delays in shipments being delivered at destination. Once clearance is issued by customs, transit times of 60-90 days are expected from the export clearance date. 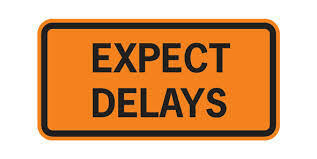 Your RAI team is aware of these delays and ensuring that clients are informed of any potential service disruption. Relocation America International is a full service relocation management company dedicated to providing innovative relocation services, value added support, and superior customer service to clients relocating families domestically and internationally. Visit http://www.rainternational.com for more information about our services or contact us at info@rainternational.com. This entry was posted in Global News on February 20, 2018 by reloamerica.